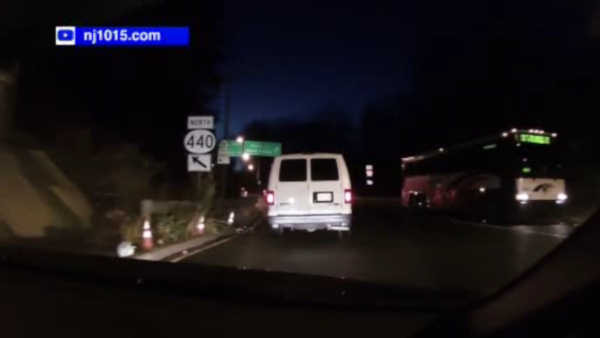 WOODBRIDGE, New Jersey (WABC) -- New Jersey Transit is investigating after a driver posted dash cam online of a bus going against traffic. The bus can be seen on the shoulder, going against traffic on a Garden State Parkway ramp. The driver says this happened Thursday about 6 a.m. in Woodbridge. NJ Transit does not know if any passengers were on the bus at the time. No accidents or injuries were reported.